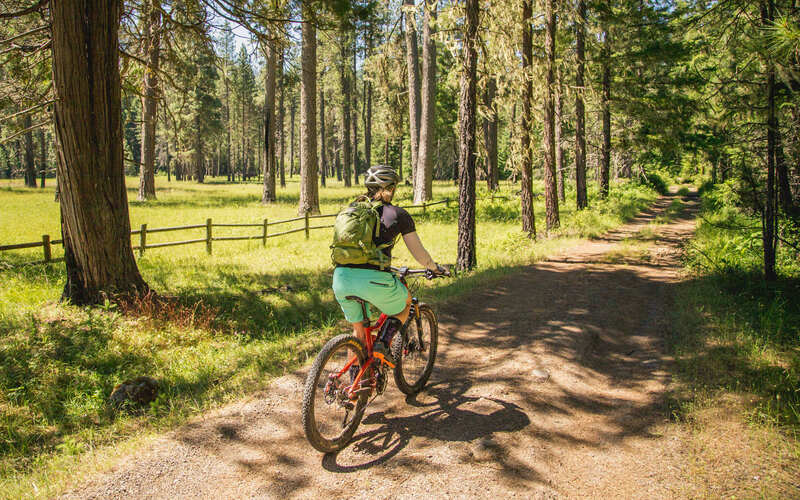 A weekend in Oakridge offers a party platter of riding options – and it’s a perfect opportunity to sample portions of the Oregon Timber Trail’s Willamette Tier in a place where off-road cycling is pretty much worshiped. These three trails will show you why this area is known as a mountain biking paradise. 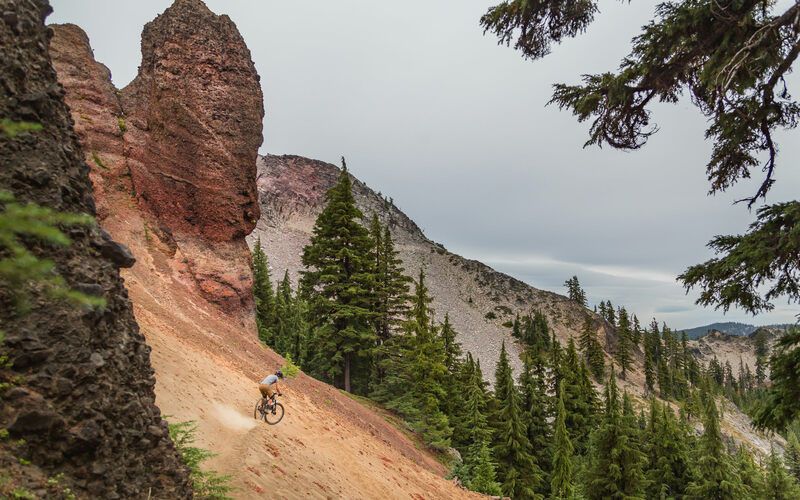 One of the best examples of a revitalized community in the West, Oakridge went from being a former timber town to enjoying renown as the epicenter of mountain biking in Oregon (and beyond). With hundreds of miles of challenging and staggeringly beautiful trails, the area has embraced bike tourism in a huge way. The town has a good bike shop, a buzzworthy brewery, some bike-focused lodging and a definite appreciation for visitors on bikes. Oh, and there are an estimated 600,000 acres of old-growth timber surrounding it. All that makes it a perfect base camp for exploring a bit of the Willamette Tier of the Oregon Timber Trail (OTT) – a perfect weekend toe-dip into the bounty of trail riding here. 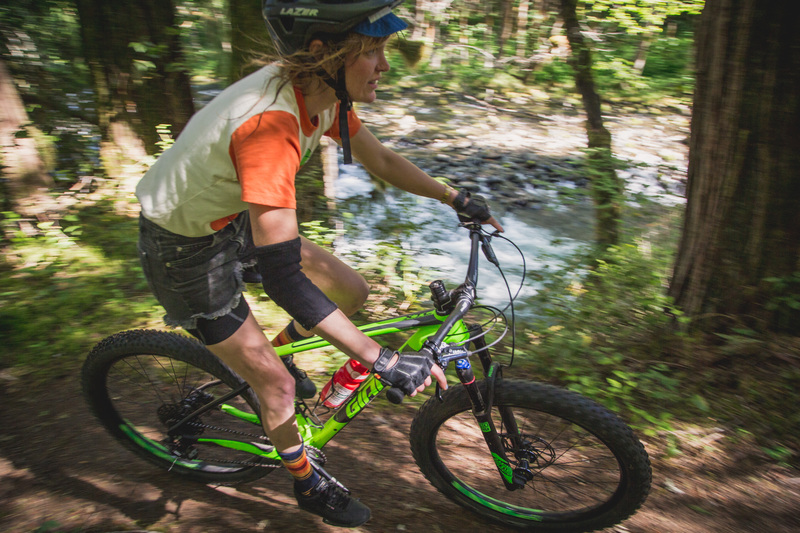 Deep in the steep and fertile forests of the Cascade Range, this is where you can really get primeval on two wheels. If you hit town later in the day – or need an early getaway on the last day of your trip – this 7-miler is your warm-up and cool-down route. Start from anywhere in town and head east, quickly swapping civilization for isolation. If it’s the first ride of your trip, you’ll feel like the air itself must be green; that’s how much you’re inundated with the rich verdancy of a wet-side forest. Spend some time swimming behind the tiny old dam on Salmon Creek, beneath the railroad trestle that looms overhead. Or just roll along the riverbank (north side for easy, south side for technical) to delve deeper into the woods. You’re not going to get winded here from elevation – but your breath might catch if you spy deer bounding among the giant trunks or spot a tantalizing glimpse of whitewater in the creek below. A few miles in, encounter a shady campground and explore the aqua pools above the falls. Maybe even test your mettle with a plunge into the bracingly cold water before heading back to town. The two other routes on this trip both start from Forest Road 21 (NF-21), so pick which you want to try first. Sawtooth Struggle, as the name not-too-subtly implies, involves some real work – but as you undoubtedly know, hard work usually gets paid off when you’re out on the extreme trail. The highlights here are simple pleasures: climbing or gliding beneath moss-draped giants, weaving around their girthy trunks, skirting the shores of highland lakes. You’ll rise up a couple thousand feet on the initial climb, followed by a steeper but shorter one that takes you over a ridgeline into an entirely new watershed. Of course, all that work is matched by thrilling, and sometimes tight and technical, descents. Want to see more than the trees? Take a short side trip up to the Pacific Crest Trail (PCT) (hike, not ride; bikes aren’t allowed on the PCT), emerging astride Cowhorn Mountain for some epic views of iconic mountains like Thielsen, Bachelor and the Three Sisters. Want to make someone jealous? Stop along this route to snap a photo or two of “It is so good to be me” scenery along the tumbling Middle Fork of the Willamette River amid towering old-growth cedars and meadows carpeted in wildflowers. Starting at Sand Prairie campground, bite off as much as you want of this trail, which extends all the way up to Timpanogas Lake if you’re looking for a test. It’s never all that steep, but it does get more rugged the farther up you go, so knock yourself out. Follow the river upstream, crossing both feeder creeks and the main stream, until you emerge into Rigdon Meadows, a forest clearing encircled by trees and lush with plant life. Enjoy a tranquil lunch break at this natural turnaround point, and then savor the sweet swoop back down to the start. The advantage of setting up in an authentic mountain-biking town is that you have plenty of relevant resources surrounding you. 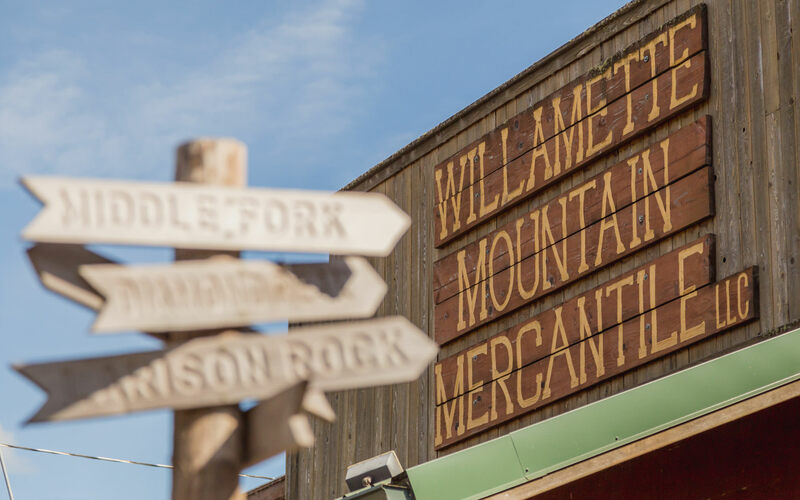 Don’t miss stopping by Willamette Mountain Mercantile, the local bike-and-more shop, for some learned advice. Grab some grub (and drink) at Brewers Union Local 180, Cedar Creek Café & BBQ, Deep Woods Distillery or Stewart’s 58 Drive-In. Hang your helmet at the Oakridge Lodge and Guest House, Double Diamond Lodge, Westfir Lodge or several motels – or camp out at Timpanogas or Summit lakes. Take a soak in nearby McCredie Hot Springs. 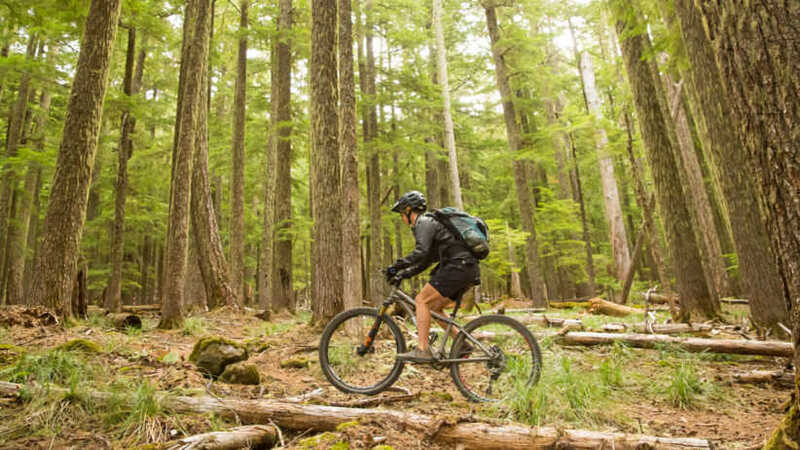 And when you’re done getting a taste of the Timber Trail, consider taking one of the local shuttles to more of the famous mountain biking trails nearby.